“Keats died of consumption before he had completed his 26th year, and is therefore, in Shelley’s phrase, one of ‘the inheritors of unfulfilled renown,’” wrote William Henry Hudson in An outline history of English literature of John Keats who, in Hudson’s words, was ‘the most romantic of the romantic poets’. John Keats was not the only writer consumed by consumption, or galloping consumption, as TB or Tuberculosis is often referred to. A host of western writers fell victim to consumption, including great names such as Robert Louis Stevenson, Henry David Thoreau, the Bronte sisters, George Orwell, Franz Kafka — and the list goes on. Qabil Ajmeri was one of the poets of Urdu who succumbed to the disease. Like Keats, he too died young. But it is Asraar-ul-Haq Majaaz, rather than Qabil Ajmeri, who is often compared to Keats because of the former’s romanticism, aesthetic passion and poetic genius. 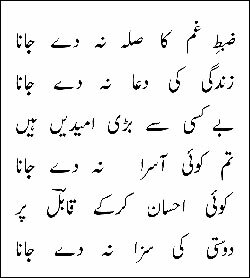 With due apologies to my progressive friends, I cannot resist quoting a critic who said Majaaz was Urdu poetry’s Keats who was abducted by the progressive wolves. 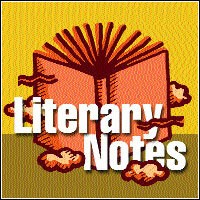 He wanted to emphasise, perhaps, the sloganeering in Majaaz’s poetry that kept him from realising his true potential. In my opinion, however, it was not progressivism but alcoholism that kept Majaaz from achieving all that his gigantic genius was capable of, and which ultimately drew him of every spark — even that of life. Qabil Ajmeri lived a life full of hardships and died at the age of 31, a lifespan much too short to allow the full bloom of poetic growth and artistic refinement. Yet his poetry shows the craft of an experienced poet and the feelings of a mature mind, not to mention his natural talent for a dainty poetic genre such as ghazal. His poetry had become so popular during even his own brief lifetime that he became the envy of many, and his many couplets are still quoted frequently, some of them having gained a proverb-like status. Born on August 27, 1931, in Churli, a town located 24 miles from Ajmer, Qabil was orphaned when he was seven. His mother died shortly after the death of Qabil’s father, a tuberculosis patient, and his younger sister died within a few years. In January 1948, Qabil migrated to Pakistan with his brother, without any provisions, after joining a caravan headed across the border, where they settled in Hyderabad, Sindh. After a while, Qabil’s brother contracted TB and died. The series of deaths in the family left Qabil worn and drawn and his poetry grew more sorrowful then ever before. Soon after migrating to Pakistan, he became popular at mushairas and was recognised as a ‘senior’ poet of Urdu at the age of about 21, along with other veterans of Hyderabad such as Akhter Ansari Akberabadi, Mohsin Bhopali and Himayat Ali Shaer. This provoked the wrath and jealousy of some of his peers, who never really enjoyed the popularity at mushairas that they longed for and that Qabil found instantly. Qabil had contacted TB early and was unable to pursue any career. Early in his life, for a while, he used to write applications outside government offices for a small fee, and did some journalistic work as well. After migrating to Pakistan, he began writing a ‘qataa’, or quatrain, every day in the daily Javed, Hyderabad. Later on, his quatrains were published in the fortnightly Aftab, Hyderabad. For the treatment of TB, Qabil was admitted to several hospitals and in 1960 he was sent to a Quetta sanatorium where he met Nargis Susan, a nurse who was impressed with his poetry and who later embraced Islam, after which they got married. A son was born but Qabil could never really recover as a treatment for TB was yet to be found in those days. Qabil died in Hyderabad on October 3, 1962. Ghazal was the genre in which Qabil chose to express himself, though his nazms, or poems, also reflect his mind. They are, however, fewer in number and do not really achieve the subtlety that his ghazals do. Ghazal, as Dr Farman Fatehpuri has said in his book Urdu ghazal aur Pakistani muaashra, is one of the most popular and most delicate yet most difficult of all genres of Urdu poetry. Ghazal demands classicism, symbolic icons, a deep sense of the poetic tradition, imagery and a diction of its own. This is one of the reasons why those who write ghazal can rarely master it fully and it remains elusive, just like the traditional lover of which it sings. The 20th century Urdu poets who truly recognised the texture and temperament of ghazal, and composed it in its all traditional beauty and delicacy, says Dr Fatehpuri, are few and far between and Qabil Ajmeri is one of them. Qabil was a great improviser, too. His art lies essentially in improving upon all the traditional thoughts and topics of Urdu and Persian poetry. We see many classical or even modern ideas found elsewhere but Qabil gives them a new turn with a different treatment. What calls for a finer appreciation is Qabil’s ability to evoke fresh thoughts with an elegant style — achieved within a lifespan of 31 years that were spent mostly in looking for comfort. Recently Waheedur-ur-Rehman Khan, a young researcher from Lahore, published his dissertation on Qabil, titled Mutala-i-Qabil. This much-needed work is really welcome as there has hardly been any reference material available on Qabil, apart from a few sporadic articles and a few special issues of some literary magazines — although more than a decade ago, Karachi’s Fareed Publishers published Qabil’s collected works, named Kulliyaat-i-Qabil.